As well as having tons of practical uses, Google Home also offers plenty of fun little distractions. You can ask the Assistant to tell you jokes or facts, and even play games with it. Tie-ins were inevitable, and Google joined forces with Netflix for a Stranger Things game last year, in which you could chat with Dustin on his trusty walkie-talkie. 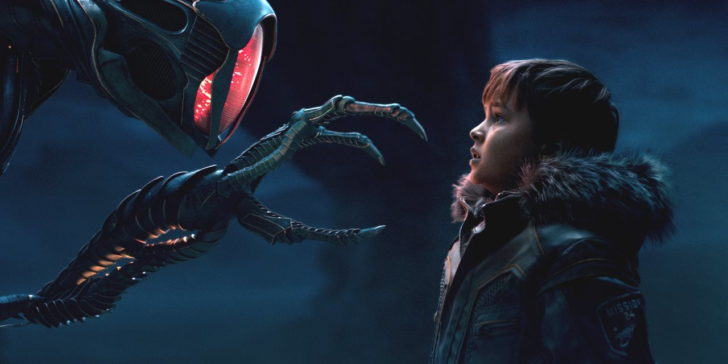 Lost in Space is Netflix's latest hit show, and there's a new Google Home game to go with it. You can trigger it by saying "Hey Google, play the Lost in Space game." You'll then find yourself talking to Will and the rest of the Robinson family as you help them navigate their unfamiliar surroundings after crash landing on the way to Alpha Centauri. Take a look at the trailer below. It's not the most thrilling game you'll play, but it's quite well executed. I was asked a couple of multiple-choice science questions and tasked with counting the shrieks of alien creatures or unscrambling radio messages. There are a lot of 'who do you want to help next?' questions which slow proceedings down, but it'll probably be fun for kids to play along with for a while.